Featured Product | Daryl's Automotive - Established 1988 - Daryl's Does it Right! Ride comfort requires a soft suspension, whereas load carrying requires a stiff suspension. However, good handling combined with an acceptable ride requires a setting somewhere between the two. Because of these conflicting demands, the rear leaf spring suspension design fitted to pickup trucks, vans and sport utility vehicles has had to be something of a compromise due to the type of vehicle use. Leaf springs are a passive suspension system that have the ability to store energy via the spring and dissipate it by a damper. Its parameters however, are generally fixed and limited. 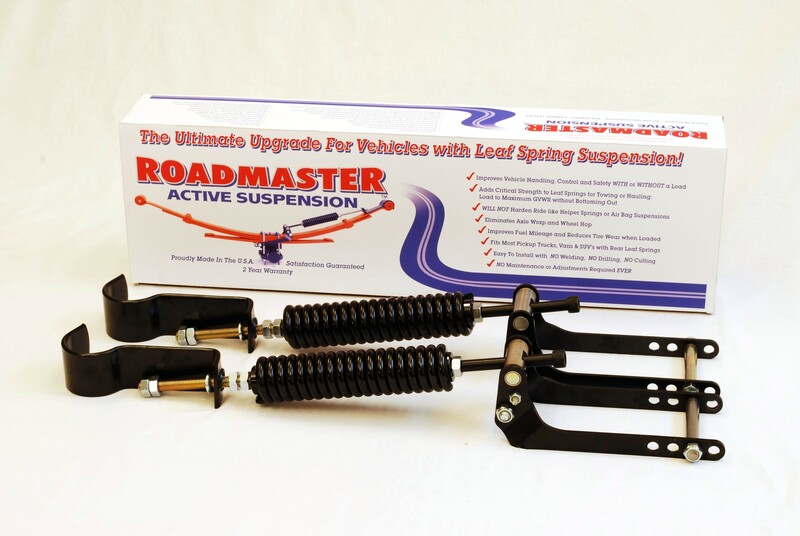 Roadmaster Active Suspension (RAS) overcomes the limitations of passive suspension by introducing mechanically active suspension to the rear leaf springs thereby conquering the traditional three-way load vs handling vs comfort conflict. Once fitted, RAS has the ability to store, dissipate and introduce energy to the system. Being mechanical its action is immediate, unlike hydraulics or air which take time to react. This immediate action is also variable, working in exact counter proportion to force applied, hence the term active.